One of my family's favorite summer treats is Greek yogurt pops. They're a healthier, but still really yummy, alternative to mainstream popsicles. And they're super versatile. You can add just about any fruit to create whatever flavor you like. In this post I will share my recipe for fresh strawberry Greek yogurt pops. Wash and slice your strawberries into small thin slices and stir into the Greek yogurt. Pour into popsicle molds and pop into the freezer until they are completely frozen. STEM stands for science, technology, engineering, and mathematics. A STEM Challenge is a project that encourages children to explore, design, and test in the areas of science, technology, engineering, or mathematics. STEM activities are a great way to add hands on learning to your homeschool or classroom. STEM education helps develop problem solving and critical thinking skills, increases science literacy, and makes mathematics fun. The goal of this challenge is to design a contraption to keep an egg from cracking when dropped from a predetermined height like the top of the stairs or a low roof. The Lorax is my personal all time favorite Dr. Seuss book. The illustrations are gorgeous and I love the message, we all need to care about our planet. In this post I will share 5 fun activities inspired by Dr. Seuss's The Lorax. Poke a small hole in the bottom of each paper cups. Thread one end of the string through the hole in the bottom of one cup and knot so it can't come out. Do the same with the other end of the string and the other paper cup. Now you should be able to use it like a phone. Stand with a person at each cup and pull the string taunt. See how quiet you can speak and still hear each other. The illustrations in The Lorax are great inspiration for mural painting. My daughter loves to paint Truffula Trees. Grab a large sheet of paper or cardboard and some paint and get creative! I don't know about your kids, but mine absolutely love games involving water and getting wet in the summer time. In this post I will share 5 of our favorite water relay races to play with friends. These are perfect for birthday parties, homeschool get togethers, and other group events. Divide your participants into 2 teams and have each team line up single file at a predetermined starting place. Hand out a sponge to the first participant in each line. Set a bucket of water by each team. Set an empty bucket about 20 ft away from each team. The two empty buckets should be the same size and should have a "fill line" marked half way up. My seven year old and I recently made a rain guage that led to an impromptu lesson on adding fractions. We were trying to add several days measurements from the rain gauge to get a total for the storm system. While my daughter knew a little about fractions from previous activities we had done, adding fractions was new ground. I came up with this simple hands on way to introduce the concept of adding and subtracting fractions. All you need for this activity is a piece of construction paper and a pen. Divide and cut your paper into 4 equal sections. Using a pen, divide one of the sections into 4 equal sections of it's own, and label each section 1/4. This will be your example of a "whole". With the 3 remaining sections, divide and cut them each into their own 4 equal sections and label each one 1/4. And that's it, now you have a set of fraction cards you can use for demonstrating what fractions are and for adding and subtracting fractions. A lot of our homeschooling friends do school year round, which is great if it's what works best for their family. We though, prefer to take a long break from formal lessons each summer. By the time spring hits my daughter just starts losing interest in school. When she's burned out and frustrated, I don't feel like she absorbs information as well. She really NEEDS the time to relax and be free all summer so she's recharged and ready for next year when fall comes. I don't know about other homeschooling moms, but I really need a break. I need time to relax and recharge too. I need time to focus on other projects that tend to get neglected and placed on the back burner during the school year. My family really tries to avoid products that are toxic to humans or the planet. For this reason, we avoid most mainstream household cleaning products. In this post I will share my favorite natural household cleaning recipes. I use this for almost all of my everyday surface cleaning. It's simple and kills most germs. Add all the ingredients to a spray bottle (preferably a glass spray bottle) and shake to mix. Always shake gently before use. Playing outside and interacting with nature is incredibly important, especially for children. It gets kids moving, promotes creativity, and helps teach responsibility for the natural world. In this post I will share 5 nature activities you can do right in your own backyard. Then pick a place to work and create cool art with the pieces you collected. Your art work can be anything you want: a cool scene, an animal, just a cool design. Have your kiddos collect 5 small white pebbles and 5 small dark pebbles. Take a stick and draw a tic-tac-toe board in the dirt or sand. Take turns playing tic-tac-toe using the pebbles instead of x's and o's. Make a list of natural items you can find around your backyard or neighborhood and have your kids hunt for them. 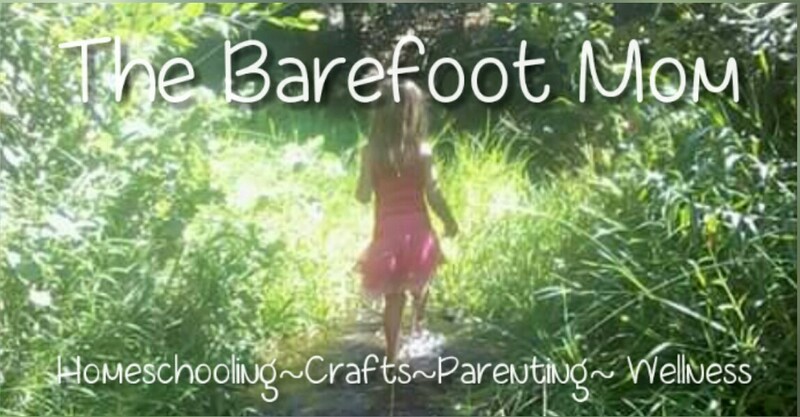 If your kids are anything like mine and they enjoy learning activities they can do outside, especially if it involves getting a little dirty, they'll love this one! Why Don't Rivers Run Straight? Rivers tend to meander rather than run straight. This is due to obstacles and other variables in their paths. This activity is a simple hands on way to demonstrate why rivers twist and turn. Put on your play clothes and head to the sandbox and start by adding a small amount of water to the sand so it's a little damp. Build a sand mountain and add some obstacles (sticks and rocks) to the sides of the mountain and the area around the mountain. Next slowly begin to pour water over the top of the mountain. Continue pouring water and observe the way the water twists around obstacles.